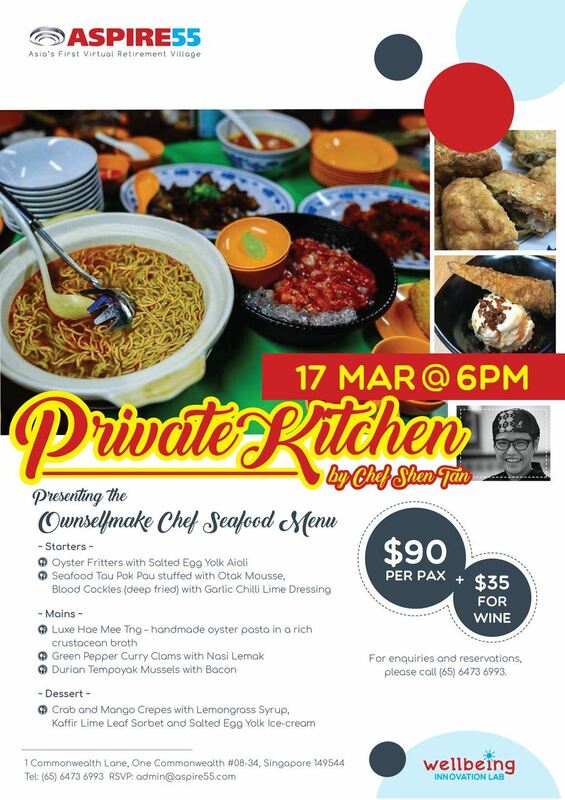 Chef Tan will be cooking up a storm for a small group of ASPIRE55 members on 17 March 2018. Presenting a menu called, OwnSelfMake Chef Seafood Menu, you'll be surprised what she can create with local flavours. To know more about Chef Tan - read her profile here.